Below is the list of products based on the ARIA Engine. Garritan Harps is an innovative virtual harps collection that captures the pure, pristine recordings of each harp string. This sound library includes a full range of harp articulations and techniques, plus advanced glissando emulation. Garritan Harps offers more space perspectives and flexibility than any other professional harp instrument! chipcrusher is an vintage DAC emulator, a speaker simulator and noise machine. It’s an audio effect which plays back input audio through a simulation of early lofi digital audio codecs (DAC Encoding), adds grit (Background Noise), and outputs through a selection of speaker and filter impulse responses (Post-Processing). The ARIA Player is the official sample playback software for Garritan libraries. It was built from the ground up to fully take advantage of the ARIA Engine. It can be used as a standalone to record and playback live or as a plug-in (Audio Unit, VST, RTAS) with sequencers or notation programs such as Finale. It features Conexant’s Endless Wave technology for hard disc streaming of multiple stops and ranks. Free Sounds – Volume 1 is a sound pack made with the help of partners and friends. It includes 11 Instruments from Garritan, 14 Instruments from Digital Sound Factory, CR-909 Electronic Drum Machine from Analog Industries and various Instruments from Patch Arena, Plogue and More! Garritan Classic Pipe Organs brings the power and majesty of the pipe organ into your studio, place of worship, rehearsal room, or home. This collection spans 400 years of organ building with instruments from the Baroque, Classical, Renaissance, Romantic, and Modern eras. 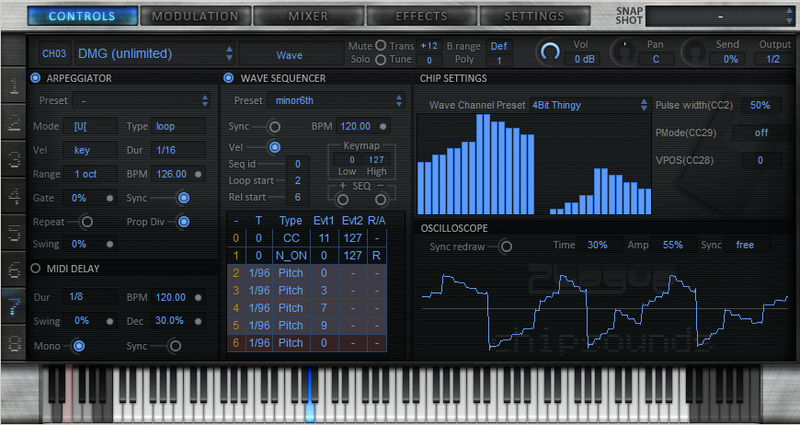 Convolution Sampled Reverb takes the virtual instruments to new heights of realism. 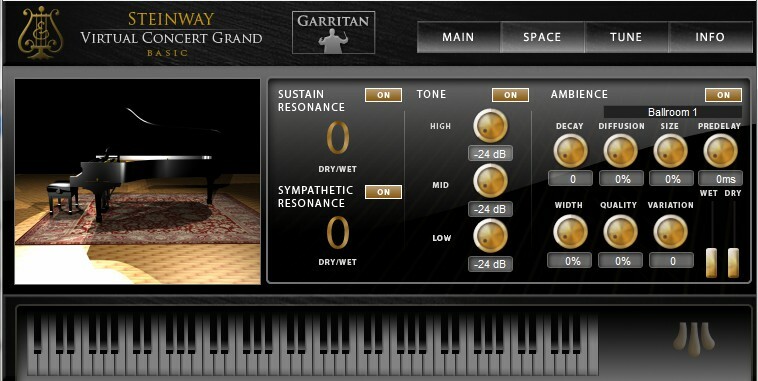 Garritan Instant Orchestra is a revolutionary sound library that reinvents the way orchestral music is created by simplifying and streamlining the process. 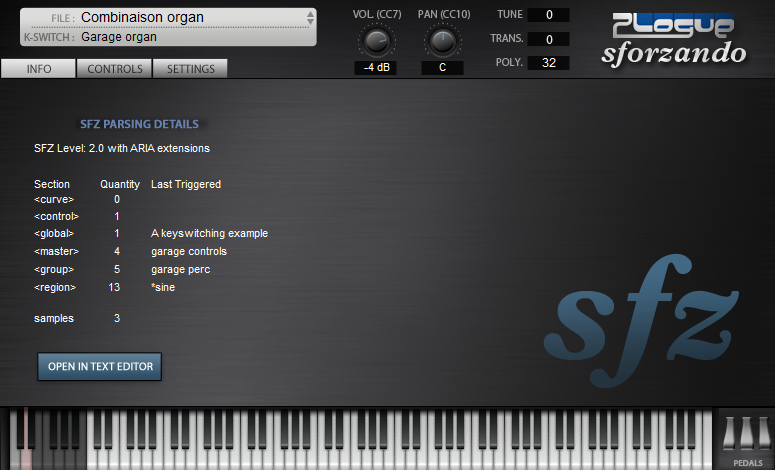 It is designed to create full cinematic orchestrations from just a few lines of music. With pre-packaged combinations and mash-ups, mood-based presets, and orchestral effects, you can evoke any emotion—instantly. sforzando is a free, highly SFZ 2.0 compliant sample player. Advanced sample hobbyists now have a powerful tool to experiment and share instruments without relying on proprietary formats. sforzando has only one instrument slot; no fancy UI, effects or mixers. Every tweak has to be done at the SFZ file level, no cheating! Plogue chipsounds is a synthesizer that authentically emulates 15 vintage 8-bit era sound chips (on top of their variants) of classic video game consoles, arcades and home computers, down to their smallest idiosyncrasies. But more interestingly, it also faithfully allows you to dynamically reproduce the accidentally discovered sounds effect tricks and abusive musical techniques that were made famous by innovative chip music composers and classic video game sound designers, which for the good part of the last 3 decades, have pushed beyond the boundaries of the original chip designs. Travel the world with Garritan sounds. World Instruments is a unique, comprehensive sound library featuring more than 350 virtual software instruments from around the world. From traditional Chinese orchestras to Gamelan ensembles, from Taiko groups to Bollywood bands, Garritan World Instruments gives you the tools to add exotic sounds to your music. Garritan Concert & Marching Band breathes life into everything from piccolos to sousaphones, and offers the broadest range of concert and marching percussion options. 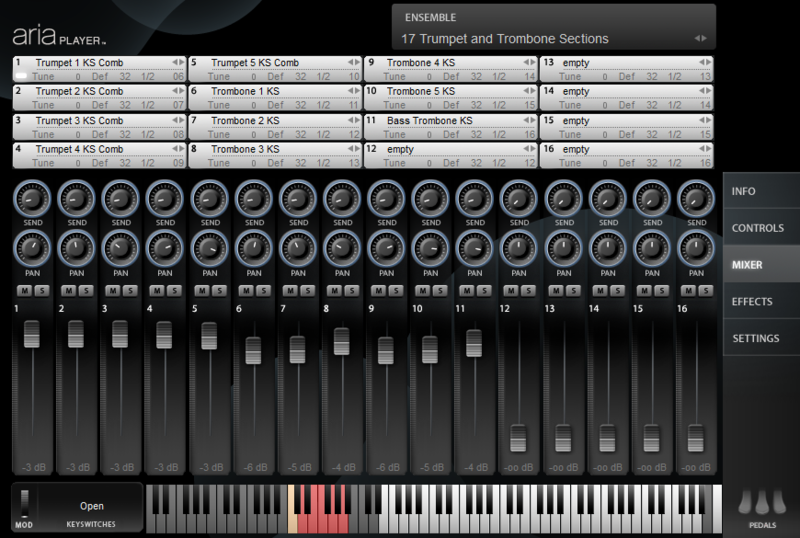 This sound library was created specifically to capture the energy and timbre of these ensembles. Ideal for educators teaching band, band students, Band Directors who write drill routines, or musicians who want to add band instrument sounds to their tracks. Imagine having a symphony orchestra at your fingertips. Garritan Personal Orchestra gives you a complete orchestra – strings, brass, woodwinds, percussion and keyboards – with over 150 instrument choices, along with the techniques and control to hear your music with breathtaking realism. This award-winning collection has set the standard for orchestral sample libraries. From Garritan, the worldwide leader and pioneer in sample libraries, developed in conjunction with Plogue Art et Technologie Inc., Garritan’s ARIA for Pro Player has a focus on exceptional sample playback with simplicity and playability. Includes a complete suite of orchestral, big band, and General MIDI samples. (discontinued) The Authorized Steinway Virtual Concert Grand Piano is a sample-based software instrument developed in collaboration with Steinway & Sons, maker of some of the world’s finest pianos. It accurately captures the distinctive sound of the hallmark Steinway & Sons concert grand piano – with authenticity and musicality.